Every so often health experts have a ‘eureka!’ moment – and this seems to have occurred with the development of alkalising super green supplements. Designed to bring your body’s PH levels back to normal (and improve your general health no-end), these supplements have hit the market with a bang. Elle Macpherson’s The Super Elixir has grabbed the headlines but at $150 / almost one hundred pounds, it’s certainly not for everyone. Therefore, when we saw Super Greens available for a much lower cost, we immediately sat up and took notice. Here’s the lowdown on the product that is the best alternative to the super elixir. Super Greens is a product which is ideal if you don’t consume enough fruit and vegetables. It contains no fewer than 17 different super fruits and vegetables in powder form, allowing you to easily consume them without the normal hassle of preparing these foods. So, what’s the fuss about taking so many fruits and vegetables? It will help bring your body’s PH level back to normal and in turn this will promote more energy, less cravings and a sharper mental focus. It might be incredibly powerful and contain countless vegetables, but Super Greens won’t blight your day-to-day activities at all. Simply mix the powder with 200ml of water and reap the rewards in no time at all. When we talk about all of these super fruits, vegetables and antioxidants, we’re not referring to some unknown quantities. Super Greens contains everyday ingredients including spinach, broccoli and green tea – the only difference is that all of them arrive in powder-form. The company behind Super Greens are extremely established, have high-street stores, deliver to over 70 different countries and also happen to be behind countless other successful supplements. Trust certainly isn’t an issue here. We couldn’t see any evidence of a refund policy in relation to this product. It might contain some powerful fruit and vegetables, but Super Greens should still be taken alongside a balanced diet. It’s not a direct substitute. Super Greens – How Does it Work? In short, Super Greens works by providing you with a significant number of super fruits, vegetables and antioxidants in an easy-to-consume format. Modern day diets tend to be quite acidic – and this is where the magic of so many healthy ingredients comes into play. Fruits, vegetables and antioxidants can make the body’s PH more alkaline and by balancing these levels out, it has been found that you can experience sharper mental focus, less tiredness as well as an avoidance of cravings. In relation to the latter, this means that the product can indirectly help you lose weight as well. Will Super Greens Work For You? Over the last year or so super greens products have caused mayhem in the health industry. Initially courtesy of Elle Macpherson, the industry found that such a high intake of vegetables could work wonders for the body and return those PH levels so a safe state and promote the benefits that we’ve already touched upon. Super Greens merely mimics The Super Elixir approach – and this is one of the reasons why we think it will prove to be so successful. Journalists were drooling over Elle Macpherson’s product and with Super Greens made up of a very similar concoction of ingredients, as well as being manufactured by such a high-profile brand, we are confident that it will work for you. Does Super Greens Have Side Effects? 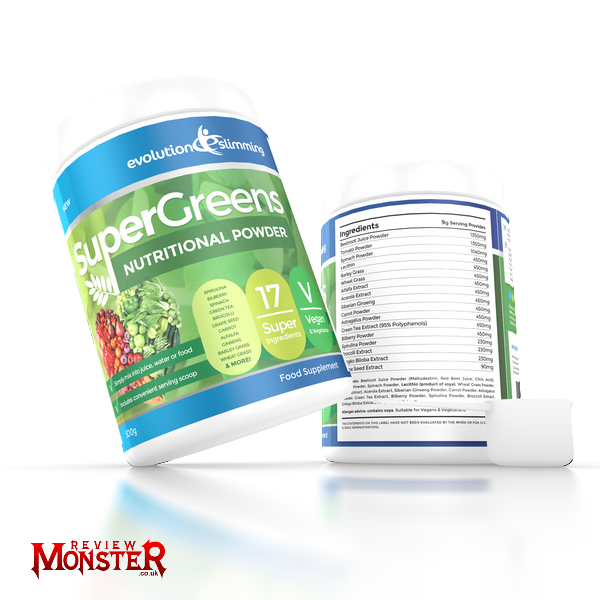 Considering the emphasis on fruit and vegetables, it won’t come as a surprise to hear that Super Greens is made up of a completely natural concoction. Therefore, side effects are not an issue here. The Super Elixir is regarded as the big-name product in this alkalising niche, but that happens to cost a small fortune at $150. A huge 500g tub of Super Greens meanwhile is available for approximately $62, while further savings are on offer if you purchase the dual-tub option which is available for around $93. 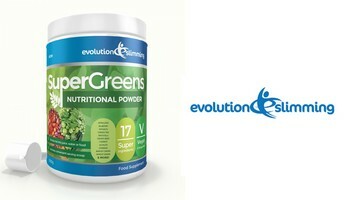 You can buy Super Greens Powder online from the evolution slimming store. Following our review of Super Greens, we found that this was an exceptionally high-value product when matched against some of the premium alternatives. If you are looking for a quick fix of vegetables, and all of the benefits in between, Super Greens could be a really worthwhile solution. Super Greens Powder4.571428571428571Jean Miles2015-08-21 20:21:36Every so often health experts have a ‘eureka!’ moment – and this seems to have occurred with the development of alkalising super green supplements. If you have any questions or concerns, please refer to the official Super Greens Powder website, or contact the merchant directly. Only comment below if you have used Super Greens Powder before and you would like to share your experience. Don't forget to use the star rating system.